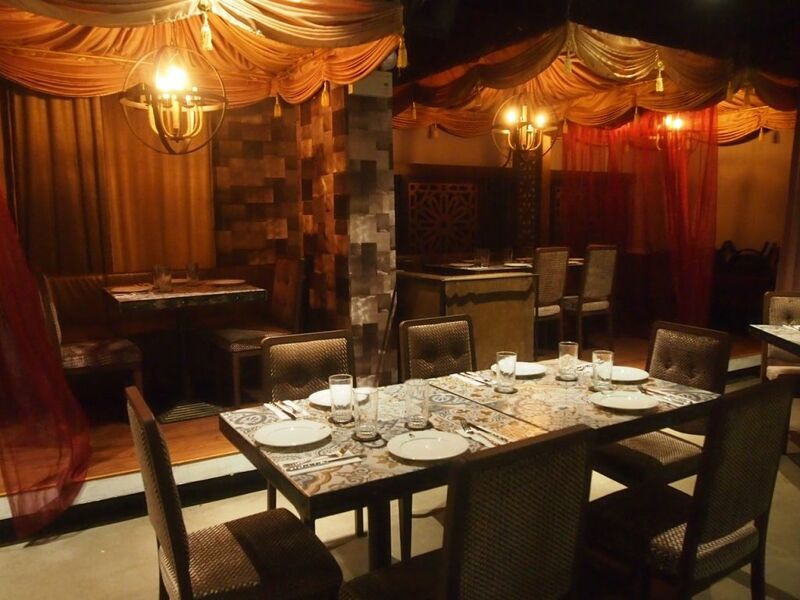 Aryaa is a restaurant, bar and lounge all in one. 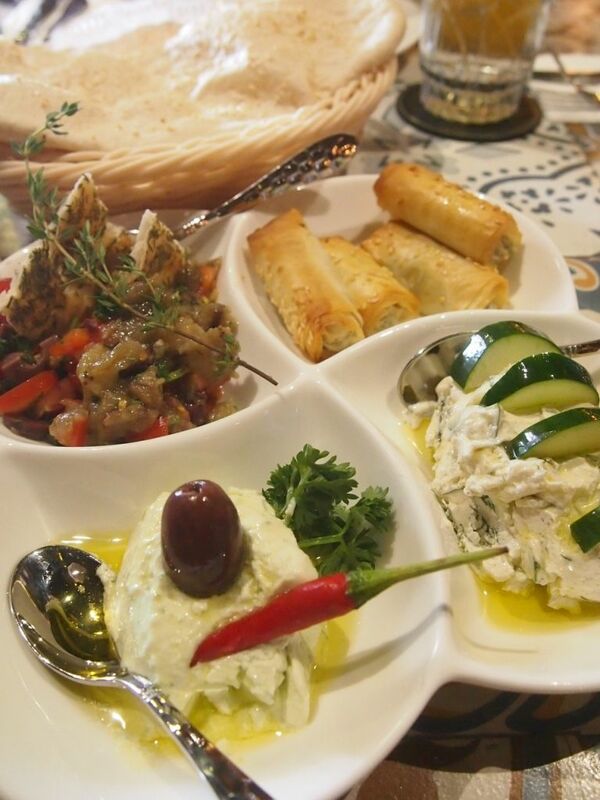 The Aryaa Meze Platter is a popular appetizer consisting of freshly baked pita bread served with Tiropitakia (cheese pies) and three different Greek dips made from strained yogurt, cheese and yellow split peas respectively. 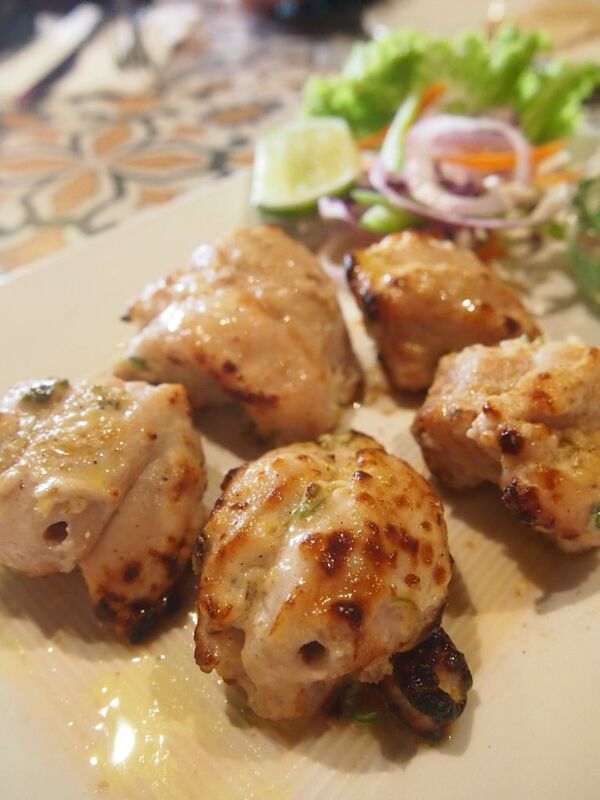 The Chicken Souvlaki was cooked in an aromatic mix of oregano, basil, garlic and olive oil. The chicken cubes were tender but firm. 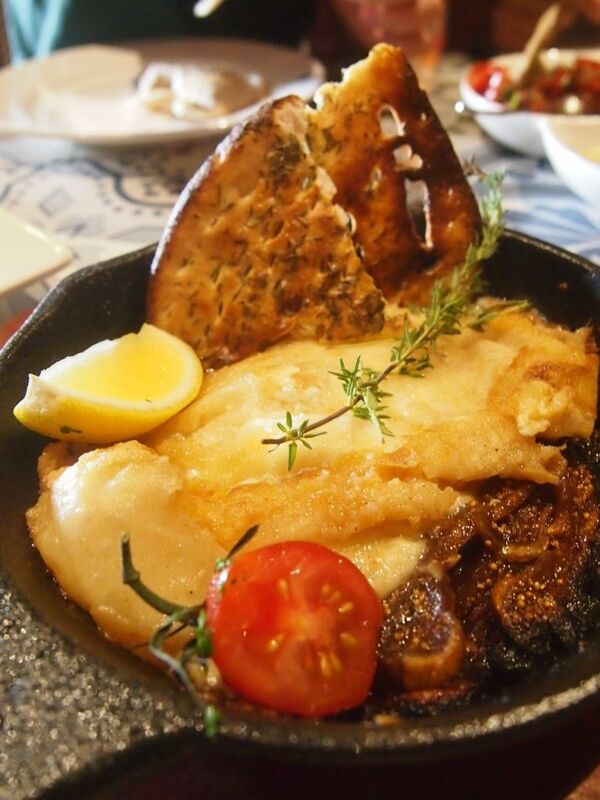 The baked cheese that sits in the traditional Saganaki pan is too salty to be enjoyed on its own. Be sure to pair it with a generous dollop of the accompanying baby figs in gravy and honey. 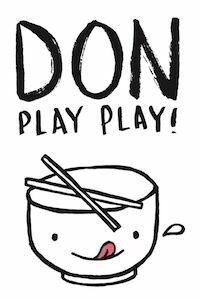 You'll be surprised at how delightful the sweet and salty combination is. It's almost addictive. I think the best way to appreciate this dish would be to smooth out a somewhat even portion of cheese and figs onto the herb laminated bread. 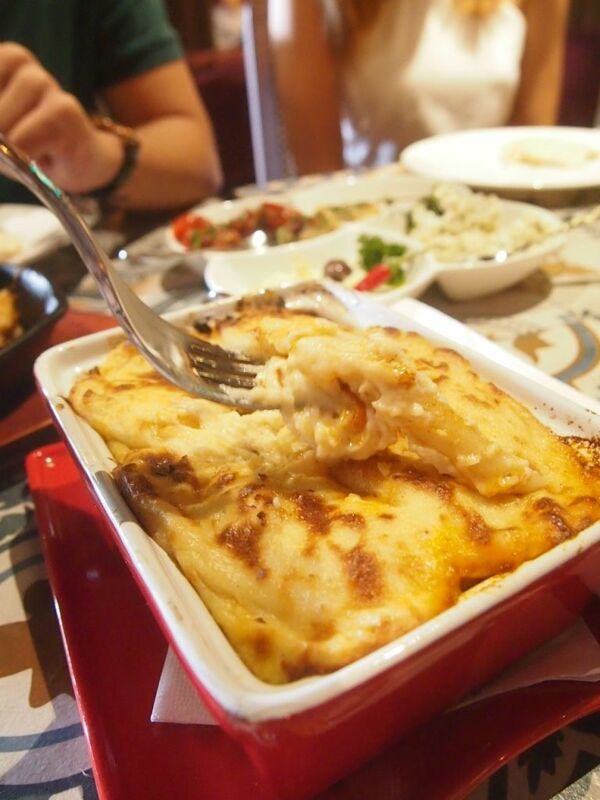 The Pastitsio resembles a lasagna except that it's topped with a thick layer of bechamel cheese mix which possesses a slightly doughy and fluffy texture. Beneath the unique blanket of baked pillow is quite a tasty toss-up of pasta and minced beef in a tomato-based sauce. 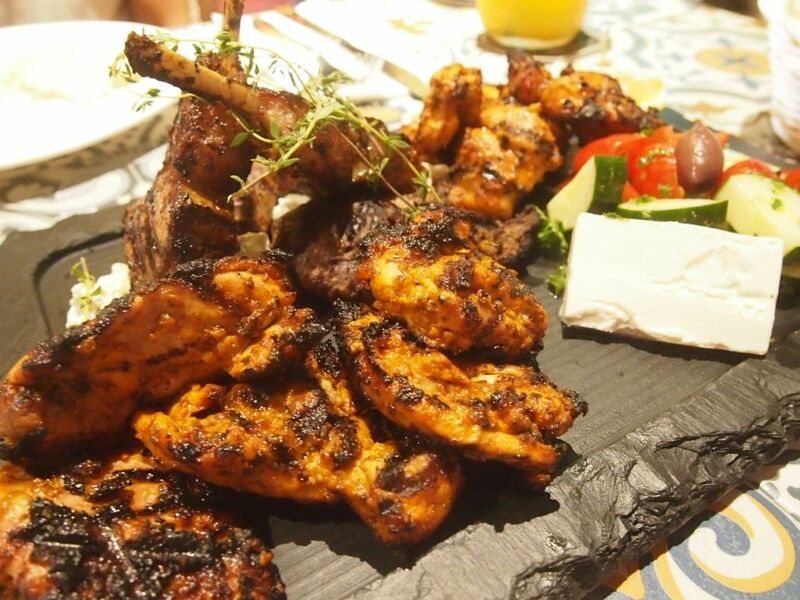 The Aryaa's Grill Platter comprising beef kofta, lamp chops, chicken and lamb souvlaki feeds three to four comfortably. 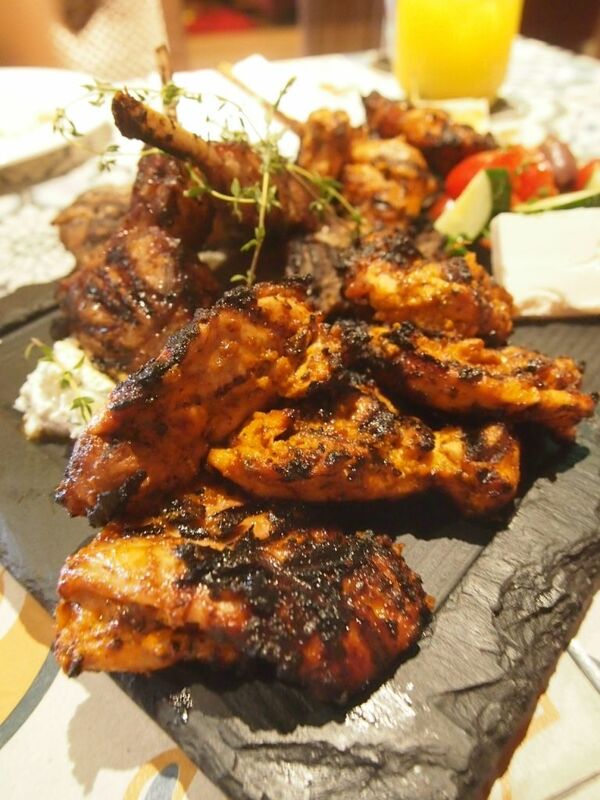 The platter comes with a side of fresh garden salad, a slab of feta, Tzatziki sauce and tomato rice or pita bread. The flavours are strong and you'll definitely need some of the carb items to balance out the intensity. The meats sported an obvious char and might have been on the grill for too long. They were too tough and dry for our liking. After a meal heavy in flavours, we were presented with a surprisingly light dessert that sees a golden brown crispy phyllo pastry drizzled with melted butter and scented syrup. 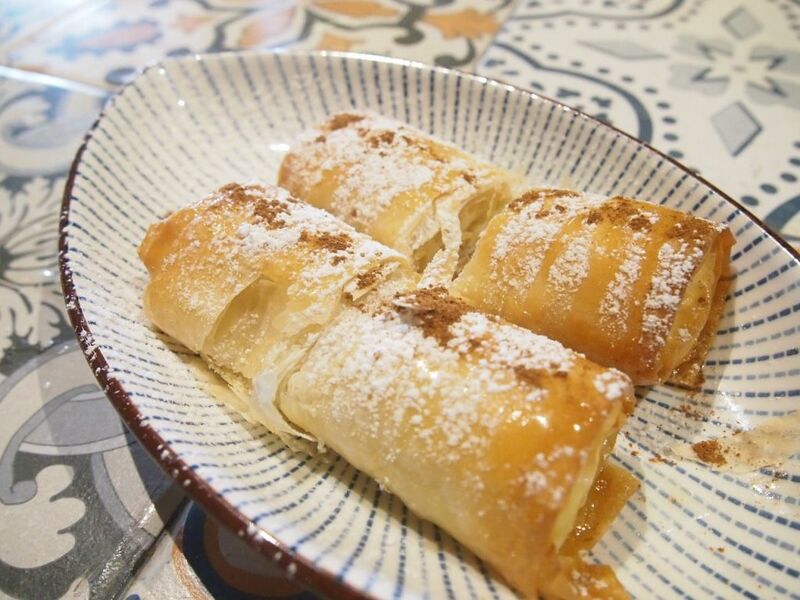 The phyllo pastry which is sprinkled with cinnamon snaps with a crunch as you bite into it, revealing a core of home made custard. This rounds up the meal quite nicely. I'm not well-versed in Mediterranean or Indian food so I'm honestly not sure how authentic the food here is, as I have no basis of comparison. However, with a Turkish chef who has worked in top dining establishments in Greece at the helm of the restaurant, I would believe that the food here has a certain level of standard. 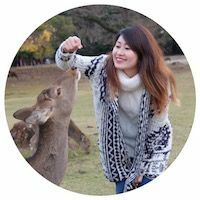 Do share with me your experience if you pop by!